Give your property an inviting ambiance with help from our painting contractor at Swick Painting, LLC. Based in Peabody, Massachusetts, we do exterior and interior painting for both residential and commercial establishments. We have more than 20 years of painting experience, 10 of which we spent in residential work. If necessary, we offer carpentry services to make sure all surfaces are ready for painting. 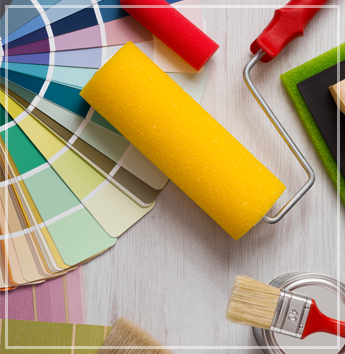 Trust our skilled and talented painters to help you keep your property's comfortable atmosphere and visual appeal. Using only the best and most durable paints and coats, we turn every property into a place of lasting elegance. More than that, we take charge of the cleanliness of your home or office during and after the painting job. Our team conducts vacuum cleaning, leaving every corner of your property dirt- and dust-free. We utilize HEPA industrial shop vacuums, which are built to withstand either wet or dry substances. Stop worrying about those old and withered walls in your property! Our experts are also here to help you prepare your home for painting, so you won't need to hire another contractor to fix rotted wood around your house. As part of our preparation for the paintwork, we do property inspections, discuss any findings with you, and conduct light carpentry work if necessary. This is to make sure every surface to be painted is smooth and ready for painting.